Have you completed Graduation and eagerly waiting for Govt Jobs? Then, Hurry Up!! Guys, utilize this golden opportunity & start applying for MRPL Apprentices Vacancy 2019. Mangalore Refinery and Petrochemicals Ltd has recently published MRPLRecruitment 2019 notification for the recruitment of eligible candidates for Apprentices Posts. As per the official MRPL Apprentice recruitment 2019 Notification, a total of 195 Vacancies are allocated for Apprentices Posts. These 195 MRPL Apprentice Job Openings are for the position of Apprentices in Mangalore Refinery and Petrochemicals Ltd. The Starting Date to fill MRPL Apprentice Notification 2019 Application form is 18th April 2019. The Closing Date for the submission of MRPL Technician Apprentice Recruitment 2019 Application Form is 17th May 2019. Many of the aspirants who dream to achieve a Government Jobs in the reputed organization can make utilize of this opportunity i.e, MRPL Apprentices Recruitment 2019. Eligible candidates can apply for MRPL Recruitment 2019 through the direct link which is available active at the end of the page. Selection of the eligible candidates for MRPL Apprentice Jobs 2019 will be on the basis of the performance in the Written Test. 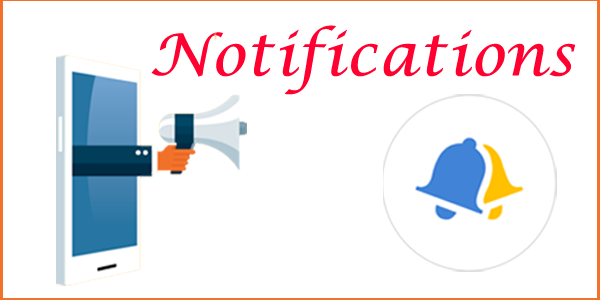 Aspirants must know the MRPL Apprentices Notification 2019 details like educational qualifications, age limit, pay scale, fee structure, how to apply, important dates, important links, etc furnished in the following sections of this article. Prior to applying for MRPL Apprentice recruitment 2019, one should possess the following eligibility requirements such as Age Limit, Educational Qualification, etc. The lower & upper age limit of the applicants applying for MRPL Apprentices Recruitment 2019 should be as follows. As per the official Mangalore Refinery and Petrochemicals Ltd Recruitment 2019 Notification, relaxation in the upper age limit is applicable to the reserved category candidates. Maximum Age for OBC: 03 Years. Maximum Age for SC/ ST Candidates: 05 Years. Go through the below sections of the page to get further details of MRPL Apprentices Notification 2019 like Application Fee, Selection Process, Salary, Important Dates, etc. Mangalore Refinery and Petrochemicals Ltd will conduct the following selection rounds to recruit the eligible candidates for MRPL Vacancy 2019. Selected candidates for MRPL Apprentice Vacancy 2019 will get Rs. 7100 to 10000/- per month. The MRPL Apprentice Recruitment 2019 Registration Process has already started on 18th April 2019. So, all the willing & eligible candidates have to submit their MRPL Technician Apprentices Recruitment 2019 Application form within the closing dates to avoid the last minute rushes. The step by step process of filling the MRPL Graduate Apprentice Recruitment 2019 Application Form is provided below for the convenience purpose of the applicants. Check out the details provided in the official MRPL Apprentice Notification 2019 Pdf. Ensure the Eligibility Criteria for MRPL Apprentice recruitment 2019. If eligible, then, click on “MRPL Notification 2019 Apply Online” link. Fill the MRPL Recruitment 2019 Application Form with all the required & mandatory information. Upload the scanned copies of the photograph & signature in the prescribed format. Crosscheck all the details once before submitting the MRPL Recruitment 2019 Application form. Then, click on “Submit” button & keep the hard copy of the MRPL Apprentice Application Form 2019 for future correspondence. The aim of providing the complete details about MRPL Apprentice Recruitment 2019 through our page is to make the willing candidates ready for the recruitment. In the shortest possible time, our team is striving at their level best to gather all the useful information related to MRPL Recruitment 2019, so we suggest you guys keep in touch with us Sarkari News as we come up with a new update from time to time.